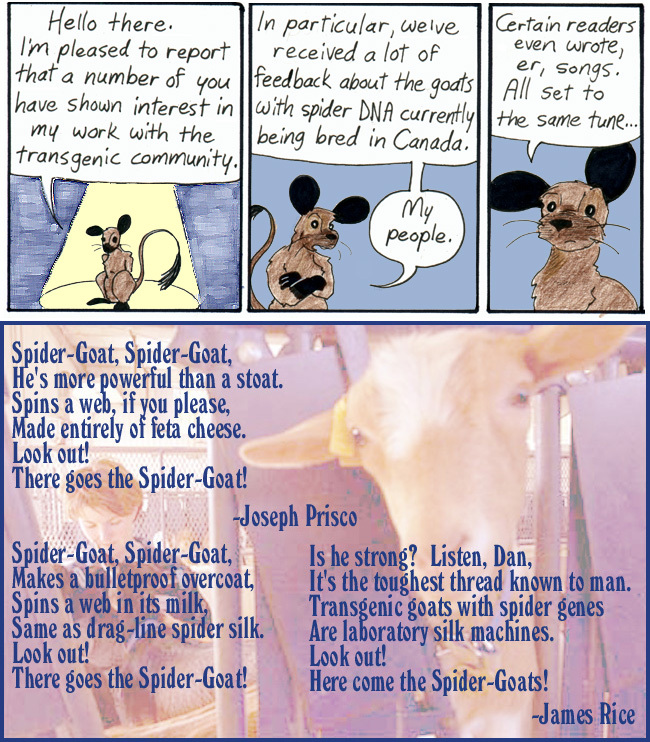 Like I said, the Canadian spider-goats captured readers’ imaginations. 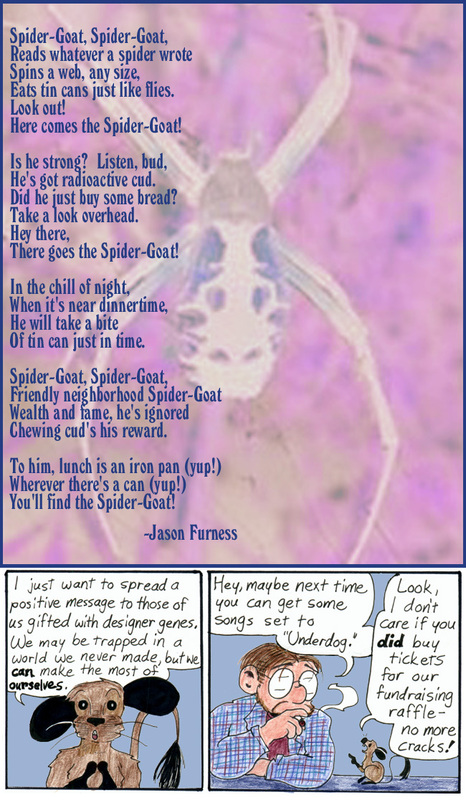 I think my favorite line is, “Spins a web, if you please / Made entirely of feta cheese.” Because I really like cheese. The fills I did behind Artie are terrible, but I like my spider-goat background. So, yeah, people immediately wrote me some Underdog songs. People are great that way.